The Black Friday 2017 ToysRUs Ad has been released! Select stores will be open at 5PM on November 23rd, Thanksgiving Day, and stay open through November 25th. 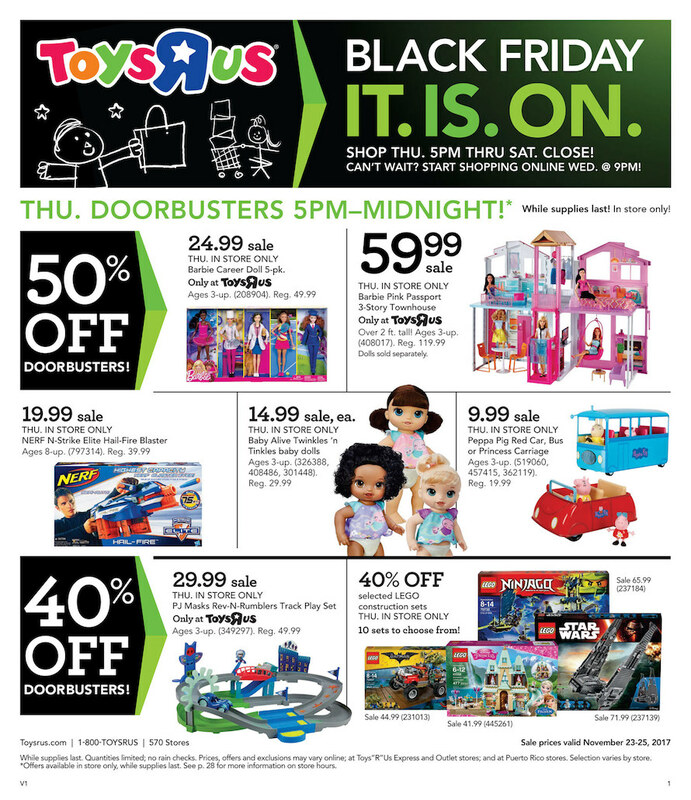 You can also get select doorbusters starting at 9PM online on Wednesday, November 22nd.